Passiflora, known also as the passion flowers or passion vines, is a genus of about 500 species of flowering plants, the namesakes of the family Passifloraceae. They are mostly vines, with some being shrubs, and a few species being herbaceous. Passiflora incarnata has a perennial root, and the herbaceous shoots bear three-lobed, finelyserrated leaves and flesh-coloured or yellowish, sweet-scented flowers, tinged with purple. The ripe, orange-coloured, ovoid, many-seeded berry is about the size of a small apple; when dried, it is shrivelled and greenish-yellow. The yellow pulp is sweet and edible. The charming passion flower is known by numerous names, some of them being maypop, and apricot vine. The name ‘passion flower' can be extremely misleading; this flower has nothing to do with passion. The name was bestowed on the flower by Spanish explorers and missionaries, who felt that the flower resembled closely the crown of thorns worn by Christ during Christ's passion. The pharmacological activity of the passion flower has interested researchers through the years, and this is an ongoing process even today. The vine may contain one or more harmala alkaloids, but the number and their real identity are not clear at all, especially because of the fact that such alkaloids generally act more as a stimulant than as a sedative. In Poland, researchers submitted a report that an alkaloid fraction and a flavonoid pigment fraction produced sedative effects in mice, and this caught the attention of Japanese researchers, who subsequently successfully isolated small amounts of the pyrone derivative maltol from an alkaloid-containing extract of the vine, and found that maltol induced depression and produced a sedative impact on the mice. The conclusion was that that the depressant effects of maltol were able to counteract the effects of the stimulant action of the harmala alkaloids, but at the same time, they were not strong enough to state why the plant extract had the sedative effect. Researchers have been able to find certain flavonoids, including vitexin, isovitexin, isoorientin, schaftoside, and isoschaftoside in the passion flower extracts, and they feel that these may in fact contribute to biological activity. However, nothing is clear as yet, and plenty of research may be necessary before the various active principles of the passion flower can be found. 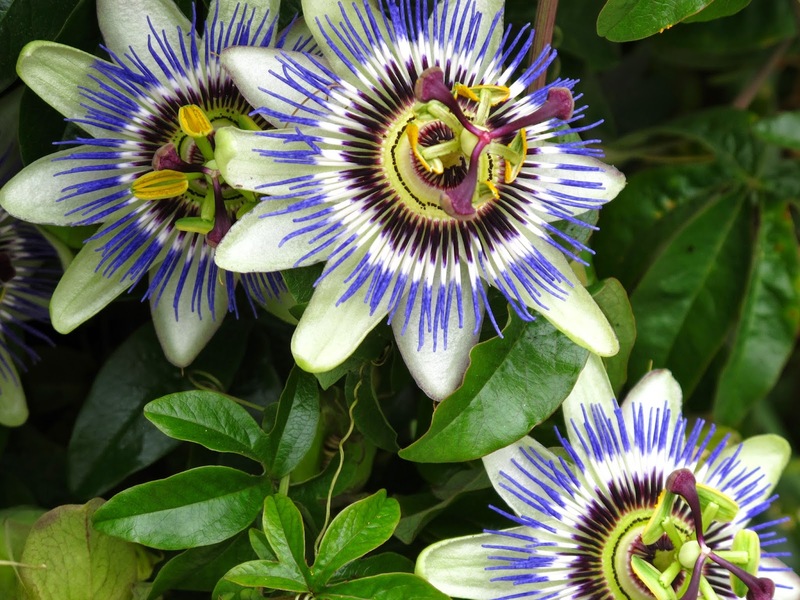 Passion flower was formerly approved as an over-the-counter sedative and sleep aid in the U.S., but it was taken off the market in 1978 because safety and effectiveness had not been proven. However, passionflower may still be available alone or in combination with other herbal products. As mentioned earlier, the passion flower has a wonderfully calming and sedative action, and it also acts as a muscle relaxant. When one uses passion flower extract before going to sleep, one can wake up feeling completely refreshed and alert as never before. This is because passion flower has a sedative and antispasmodic action, and this relaxes spasms and tension if any in one's muscles. This in turn calms the nerves and lessens pain, and also lessens anxiety, tensions, and any other type of physical pain that is closely associated with stress, such as colic and asthma, and high blood pressure. Passion flower is used for sleep problems (insomnia), gastrointestinal (GI) upset related to nervousness, generalized anxiety disorder (GAD), and relieving symptoms related to narcotic drug withdrawal. Passion flower can also be used in the treatment of neuralgia, sciatica, shingles, muscle pain, Parkinson's disease, and muscle twitching. The extract has also been proved to be useful in various disorders related to tension, anxiety and stress, and can be added to the regular drug prescription, like for example, for treating hot flashes, headaches, migraine, abdominal pain, at times for convulsions, and for a persistent and tickly cough. The passion flower works gently, and sedates a person smoothly, and reduced the symptoms of over-activity and panic in a person, thereby making it a mild, non-addictive herbal tranquilizer. Perhaps this is why the flower is often compared to the valerian (Valeriana officinalis). The painkilling properties of the passion flower are utilized when it is prescribed for relief from headaches, period pains, toothaches. Some people apply passion flower to the skin for hemorrhoids, burns, and pain and swelling (inflammation). Passion Flower TeaThe use of passion flower tea was instigated by the Native Americans over 200 years ago. Passion flower tea has been deemed as one of the best teas for soothing and relaxing those that are plagued with stress and anxiety. The healing properties of this tea make it far better for use than many medications which can have negative and unwanted side effects. In fact, there are many people find passion flower tea to be a suitable substitution for anti-anxiety medications. Studies have shown that the reasons behind the sedative effects of this tea are due to bioactive compounds such as passiflorine, which is a phytochemical that has narcotic effects. Passion flower tea can also be used for sleep problems such as insomnia. Drinking a cup of this tea half an hour before bed can help relax the body and help the drinker achieve a better night’s rest. Many have used the sedative qualities of this tea as a way to ease other things as well such as: seizures, hysteria, high blood pressure, ADHD, and for symptoms of menopause. 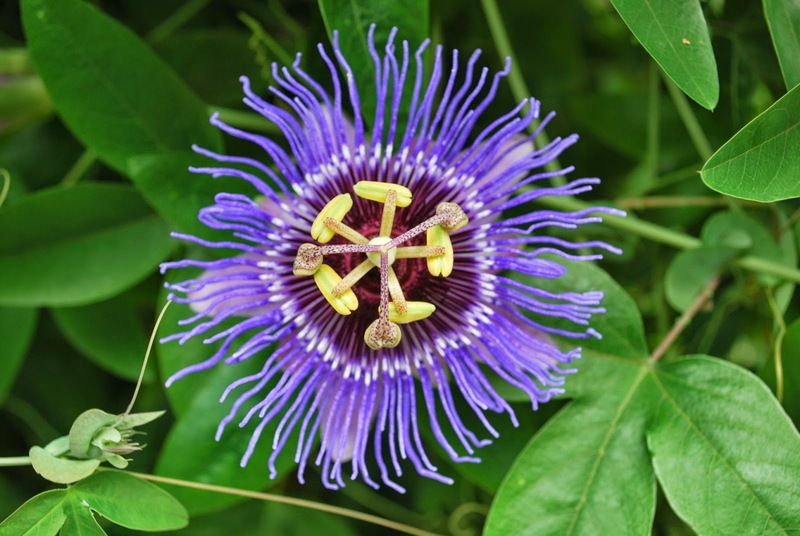 Passion flower is a sedative which acts on the central nervous system, through the combined actions of the flavonoids, alkaloids, and the 8-pyrone derivatives, although it is a fact that the research on the mechanisms on which it works has not been concluded with satisfaction yet. Patients suffering from epilepsy, neuralgia and acute anxiety have been given passion flower with good effects, and patients who suffer from sleeplessness have also found the herb to be useful. The flavonoid apigenin found in the passion flower has an antispasmodic and anti-inflammatory action, and this has been used in the cardiovascular system to treat ailments like blood pressure, muscle spasms and mild palpitations. Don’t take passionflower if you are pregnant. It is unsafe. 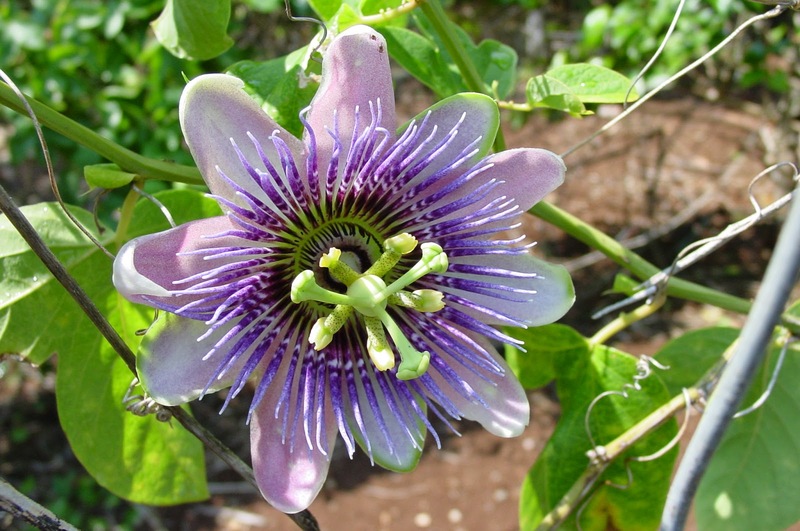 There are some chemicals in passionflower that might cause the uterus to contract. The passion flower extracts and tinctures have to be taken in the dosages advised above, so that it does not interfere with other sedatives that the patient may be taking already. Therefore, it would be a wise idea, according to experts, not to take passion flower with MAO- inhibiting antidepressants.